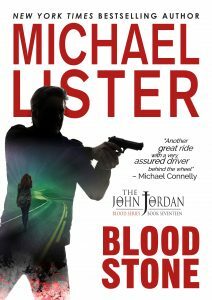 The Stone Cold Killer still haunts John Jordan’s nightmares. John’s first official case as a law enforcement officer is the one he never talks about. Now find out why. On the one-hundredth anniversary of the Jack the Ripper case John Jordan gets his first job in law enforcement—and a case that will change his life forever. When young women start disappearing, John begins putting clues together that point to a chilling reality: a sadistic, ritualistic serial killer is on a mission. The small town of Stone Mountain and its police department are no match for the cunning and twisted Stone Cold Killer – is John Jordan? Get Blood Stone today and find out.